#LAUTECH post UTME form ! 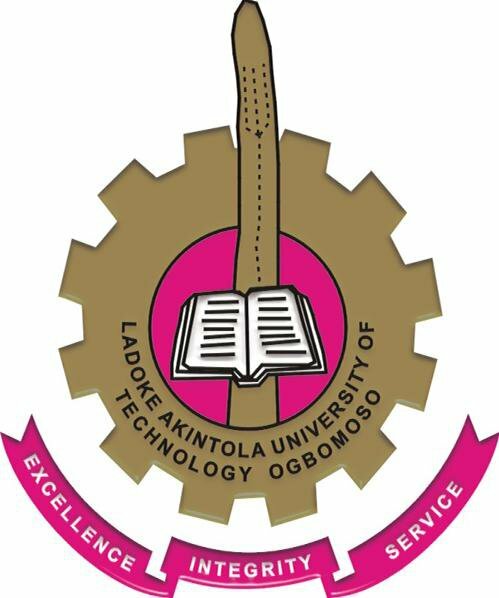 Ladoke Akintola University of Technology (LAUTECH) is now selling its suplementary Post-Unified Tertiary Matriculation Examination (UTME) form for the 2018/2019 academic session. This is to inform all the candidates that made Ladoke Akintola University of Technology (LAUTECH), Ogbomoso as their first choice as well as those that have changed their most preferred institution to LAUTECH in the 2018/2019 Joint Admissions and Matriculation Board Unified Tertiary Matriculation Examination (UTME) that they are invited to a Post-UTME Computer Based Test (CBT) Screening Exercise. LAUTECH Post UTME Screening Eligibility. Candidates that made Ladoke Akintola University of Technology (LAUTECH), Ogbomoso as their first choice in the 2018/2019 Joint Admissions and Matriculation Board Unified Tertiary Matriculation Examination (UTME). For an applicant to be eligible for the exercise, he/she must have scored 160 and above in the 2018/2019 University Matriculation Examination. How to Apply for LAUTECH Post UTME Form. Applicants are to proceed to the admissions website of the University www.admissions.lautech.edu.ng to make payment of a fee of Two Thousand Naira (N2,000 .00) only for the purpose of online registration for the screening exercise using Inter-Switch Enabled Debit Cards (ATM). Applicants are expected to carefully complete and submit the online application form as incomplete application form will not be treated. In completing the online application form, a candidate is expected to upload a digital copy of his/her scanned passport photograph which must be in JPEG (i.e. jpg) and must not be more than 20kb. The photograph must be in white background showing ears, with no cap and glasses. On submission of the application form, a candidate is to print out an acknowledgement page which assigns him/her the venue and date of the screening exercise. LAUTECH Post UTME application form will be available online for completion and submission from Thursday, November 22nd to Wednesday, December 5th, 2018. Applicants are to note that late completion/submission of application forms will not be entertained. Any applicant with blurred picture on the acknowledgement page will not be admitted into the screening center as the photograph will be used as means of identification. Any applicant who fails to present himself/herself for the Computer Based Test (CBT) as scheduled, automatically forfeits being considered for admission. Applicants are advised to come for the exercise with their acknowledgement page colour print-out. The use of cell phones (GSM, CDMA, PDA) and other electronic devices is NOT ALLOWED during the test. Applicants are advised to BEWARE OF FRAUDSTERS as the University will not be liable for any transaction with any unauthorized person.